Jamon and Q have lots of exciting news and discussion items to get into in this week’s regular episode, including their anticipated follow-up chat about Jamon’s interview with Bryan Loren in Episode 079, which inspired strong reactions from listeners across social media. They get into their personal thoughts on that episode, and also talk about the MJ social media storm around Twitter’s #TweetLikeTheMJEstate. 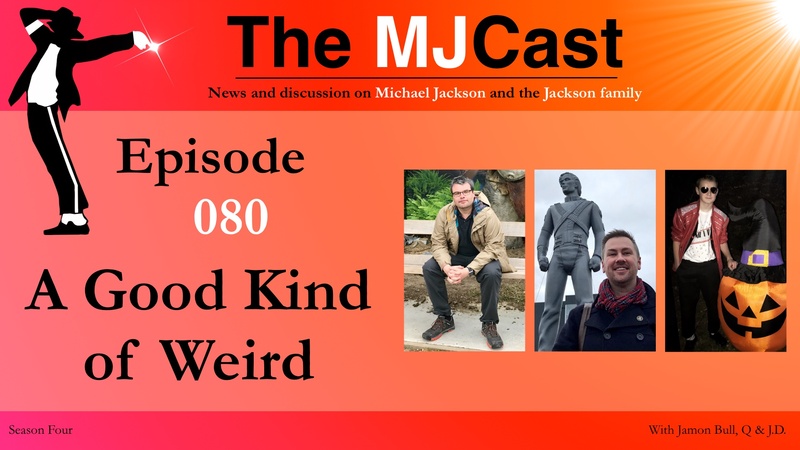 In Jackson family news, the guys discuss the new Pepsi can design featuring Michael Jackson, as well as updates on La Toya (nope, she did not have a stroke! ), Jackie Jackson’s new record label, and the upcoming Jacksons events in Detroit. And, of course, they celebrate Janet Jackson’s well-deserved ICON Award and incredible performance at the 2018 Billboard Music Awards. In controversial news, an essay by Ta-Nehisi Coates, published in The Atlantic, causes quite a stir, leading Joe Vogel to respond with his own article in Forbes. 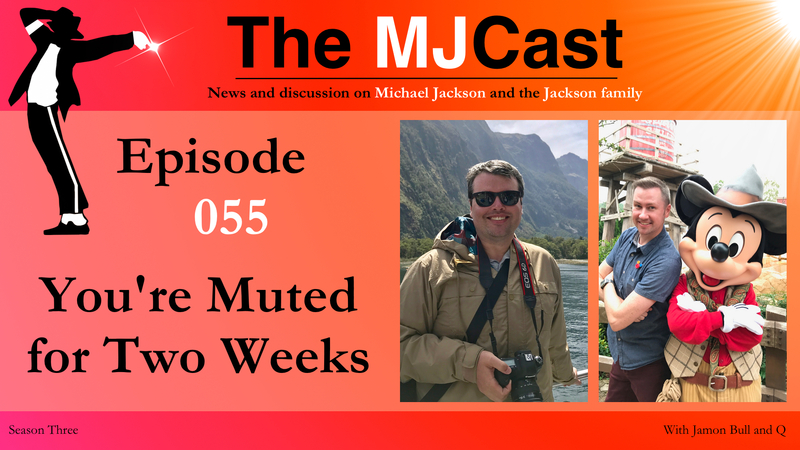 Plus, the debut of the ABC documentary “The Last Days of Michael Jackson” has the fan community talking, and the Estate suing. And, Lenny Kravitz releases a new “duet” with Michael Jackson called “Low“. Last, but certainly not least, the guys are thrilled to have J.D. from HIStory In The Mix with them on today’s show. J.D. is a massive fan (and very wise for his young age!) whose must-watch web-series chronicles the life and career of Michael Jackson. Jamon and Q will talk with J.D. about his fan story, history of his web-series, thoughts on Michael Jackson, the Estate, and more. Michael Jackson features on new Pepsi can design and accompanying TV ad. La Toya wins “Celebrity Worst Cooks in America” cooking challenges, and visits the Cannes film festival for the South Korean film, “Burning”. La Toya and B. Howard feature together in the finally-released track “Let Me Know (Dimelo)”. After all that, obviously La Toya did not have a stroke. Ta-Nehisi Coates publishes a controversial essay in The Atlantic, comparing Michael Jackson to Kanye West, to which Joe Vogel responds with his own article in Forbes. Janet Jackson performs at the 2018 Billboard Music Awards and receives the ICON Award. Janet Jackson opens up to Billboard in new interview. A new ABC documentary “The Last Days of Michael Jackson” airs, not endorsed by his family nor his Estate Executors. Jackie Jackson discusses his new record label, Critically Amused, and his signed artists. The Jacksons receive a key to the city of Detroit, and get an honorary street renaming, as they are set to headline the Detroit Music Weekend, June 14/17. Lenny Kravitz releases a new ‘duet’ with Michael Jackson, called “Low”. Jamon – Aphrodite Jones’ book Michael Jackson Conspiracy. Q – RetroWDW Podcast Episode 39 – Hotel Plaza Boulevard, in which host Brian gives us the history of the Michael Jackson Suite at the Hotel Royal Plaza on WDW property. J.D.- Janet and Michael Jackson – Rhythm On the Dancefloor mashup.